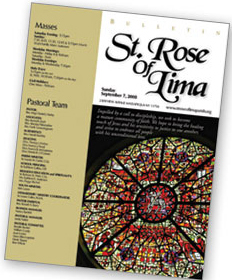 The St. Rose of Lima Office of Faith Formation seeks to foster the knowledge and understanding of God and growth in relationship with God, to the youngest members of our parish community. The understanding of God begins in the home, the Domestic Church, and is experienced through love, prayers, meals, forgiveness and sharing as a family. “Parents must be acknowledged as the first and foremost educators of their children.” (NDC 212) Parental and family involvement in the life of the Church is vital to the faith formation of our parish children. to support parents in their primary faith responsibilities to their children. Religious formation classes are only one aspect of the faith journey of a child. Worship, prayer, and outreach go hand in hand with faith development. Participation at prayer services, sacramental preparation, retreats, and stewardship events is an integral part of the formation of the child. It is our expectation that parents will bring their children to hear the Word of God and celebrate at the Table of the Lord at Sunday Mass. With the guidance of the Holy Spirit, we inspire to make each person’s faith alive and active so that their personal response models the teaching of our Savior, Jesus Christ. St. Rose of Lima Religious Formation Program is open to all young parishioners who do not attend a Catholic elementary or middle school. Our program begins in first grade and concludes with the celebration of the sacrament of Confirmation in the fall of 9th grade. All students are strongly encouraged to continue their faith journey by participation in the parish youth ministry. The sacraments of Eucharist, Reconciliation and Confirmation are two year programs. Preparation for Eucharist and Reconciliation begin in first grade and are celebrated at the conclusion of the grade two instructional year. First grade children attend bi-monthly classes in the parish school taught by parent catechists under the direction of the religious formation coordinator. Our second grade program gathers children in small groups in a home setting facilitated by two adult catechists. The faith journey to full initiation in the Catholic faith begins at baptism and culminates with the celebration of Confirmation. In order to enter into the Confirmation program at St. Rose of Lima, all students are required to complete the first six years of religious formation in the Catholic Church. The Confirmation program encompasses the grade seven and grade eight instructional years. The celebration of the sacrament of Confirmation occurs in the fall of 9th grade. 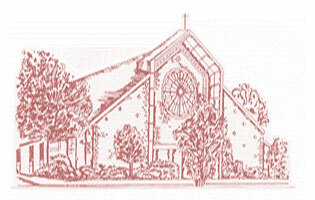 RCIA for Children is available for those students who have not regularly attended instruction. An individualized catechetical plan for the child will be developed and discussed with the parent and implemented by the religious formation office on a needs basis. All adults in our parish community are invited to become an integral part of the catechetical mission of our Church as a catechist. After an initial interview with one of our coordinators, applicants are required to complete a Background Check and Code of Conduct which is reviewed by our administrative office and submitted to our diocese. In addition, all catechists must attend a Virtus Protecting God’s Children live training session which is offered at St. Rose of Lima as well as throughout the Diocese of Rockville Centre. Compliance of this mandated program includes reading of online bulletins issued by the Virtus program several times each year. In addition, all new catechists must attend a New Catechist Training session prior to beginning the instructional year and submit a Catechist Commitment Agreement annually. Coordinators conduct a minimum of three catechist meetings for each grade level during the instructional year. Catechists must attend their instructional grade level meeting and have the option of either a day or evening session which is held in the Religious Formation meeting room located in Room 108 of our parish school. The attendance and progress of our students is monitored and recorded by the catechist. Any issues of concern are addressed with the coordinators of our program at which time parents are contacted.